With , it’s quick and easy to ship to Kenya from the UK. Not only do we help you find the cheapest shipping options for whatever your needs, we also work with the best Kenya courier services to make sure that you get great pricing and the fastest delivery times. Whether you’re sending gifts, a small postage parcel, or a large freight shipment to Kenya, offers a range of fast and cheap delivery options to suit every budget. We offer £50 free cover on every shipment* and door-to-door tracking, so with your package is in the best possible hands. Use our price comparison calculator to compare rates from the best Kenya courier companies. has just celebrated its 30th birthday, and over the last three decades we’ve built strong, long-standing relationships that mean we can offer the best Kenya rates around, with savings of up to 60% on booking direct. Get an instant online quote for postage to Kenya. With , what you see is what you get. Our amazing prices include all applicable surcharges so there are no nasty surprises. In fact, our rates are so low, we’re cheaper than regular post and you know that your package will be delivered safely and quickly. And we offer more than just fantastic shipping to Kenya – you can also use our import services to ship from Kenya to the UK. In many locations throughout Kenya, we will even be able to collect your parcel on the same day. Every parcel that enters Kenya passes through customs clearance before it is allowed in. This means that everything sent to Kenya from the UK, or any other country, will be subject to duties and taxes when crossing the border. There are no duties or tax exemptions for any sort of package. Once your booking is made, you can expect us to collect your parcel on the same day from most locations across the UK and Kenya. This is not the case if you’re sending a large parcel however; for packages heavier than 50kg or longer than 180cm you will need to book at least 24 hours in advance and you’ll need to provide your courier help in loading the delivery when it is collected. Unless you have chosen to send with one of our timed delivery services, we will make your delivery between 9am and 7pm, Monday to Friday. If the first attempt to deliver is unsuccessful, we will make two more attempts, after which the parcel will be returned to the sender. ’s priority is making sure that our customers get both the best price and great service, so we offer door-to-door tracking with every order. That means that you will be able to keep an eye on your parcel during the entire shipping process and, in the unlikely event that something goes wrong, you’ll know exactly what is happening. And just to make sure that you won’t miss something important, we’ll send you an email if any delays occur en-route. To follow the progress of your parcel, simply enter your parcel’s tracking number into our tracking tool. There is no gift allowance for duties and taxes when sending a present to Kenya. This means that even if the item you’re sending is a gift, the recipient will still have to pay duties and taxes before the package will be cleared through customs. However, it’s still important to declare that your package is a gift. Make sure not to send your gifts wrapped up, as they will be unwrapped during the customs clearance process. Also note that your gift should be declared as such, but your paperwork needs to include the exact nature of the contents. You can send parcels up to 270cm on their longest side, or weighing up to 1,000kg with . That means if you want to ship a large or heavy package to Kenya by air freight then can find you a great deal with a courier you can rely on. Simply make sure to book at least 24 hours in advance, and try to be on hand to offer assistance if your courier needs help loading or unloading your shipment. There’s nothing like the taste of home, even when you’re surrounded by the beautiful sights and sounds of Kenya. Food is also a popular gift, so make sure you follow ’s easy tips, and you can send food to Kenya without worry. So whether you’re shipping food to Nairobi or sending something especially tasty over to Mombasa, makes it a simple matter to ship food to Kenya. It’s a long journey for your parcels on their way to Kenya, and during the process of shipping they will be handled multiple times by human and machine alike. To make sure that your shipment finishes its long journey in just as good a condition as it left in, properly packaging your goods is absolutely vital. Use a new box, which has room not just for the items you’re shipping, but the packaging you need to keep it safe. Used boxes may seem sturdy but are liable to burst or be crushed in transit. If the contents weigh more than 10kg use a double-lined box. Wrap your items, then add another layer of packaging around them, so that they are unable to move around in the box and are at least 6cm from the sides. A quick shake should show if your goods are secure. Wrap three times around with robust parcel tape in a Union Jack flag pattern, such that all corners and joins are covered. Make sure your shipping label is the only one on your box and is attached in a way that it will not fall off in transit. Can I send food to Kenya? Yes, you can ship food to Kenya with . However, there are several important rules for shipping food internationally that you need to remember – any food shipped must be store bought and non-perishable. Homemade foods cannot be shipped. If duties and customs are applied to a shipment, this is done by the Kenyan customs agency as part of the customs clearance process. has no control over this part of the shipping process. Is there anything that I can’t ship to Kenya? Yes, there are some goods that you cannot send to Kenya. Some goods, such as perfume and cologne, are not carried by courier – you can see what doesn’t carry in the list of Prohibited and restricted items . In much the same way, Kenya has their own list of items that there are not happy to be brought into the country. In this case, the list of restricted goods is covered by two sections - the second and third schedules If you’re not sure that your goods are allowed into Kenya, be sure to read through those sections before booking. Will I have to pay duties and taxes if I ship my luggage to Kenya? Yes. There are no specific customs exemptions for personal goods like luggage, so you would have to pay duties and taxes as normal on shipments of luggage. If I want to send a gift to Kenya, will I have to pay any extra charges? Yes. There are no gift exemptions for gifts when shipping to Kenya, which means that they would be treated as a normal package and thus subject to duties and taxes as normal. Can I ship very big items to kenya with ? Yes. has both air freight and pallet delivery services that can deal with shipments of up to 1,000 kg in weight. And, if your packages are not quite so large, our large and heavy services can ship packages as big as 270cm long and as heavy as 70kg. Which couriers can I find on ? We only work with the world’s most reliable couriers, covering more than 220 countries around the globe, with rates up to 60% cheaper than booking direct. Our delivery partners include DHL, DPD, FedEx, TNT and UPS. Can I use to send eBay items? As long as you’re not sending any prohibited items then is ideal for eBay shipping. To find a great discount on sending out your listing simply use our eBay shipping calculator. Does have a business shipping service? works with numerous businesses to help them deliver their shipping promises. Our business service offers additional discounts and premium UK-based support. Find out more here. 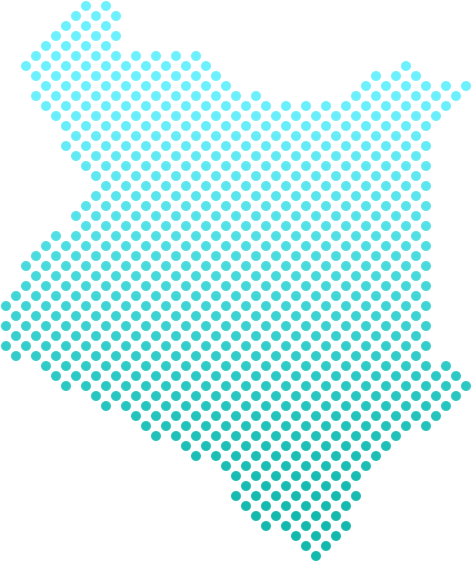 Do delivery times vary to remote areas of Kenya? Whether you’re sending to the Mount Elgon region, Machakos County, Kendu Bay or Magagua, shipping to remote areas of Kenya, can take a few days longer to deliver. However, we’ll take this into account when we provide your quote, and confirm an accurate delivery date, based on the destination you’re sending to.